Shopping Trolley - Adelaide Central Market: The City of Adelaide's premier food destination. Over 70 traders under one roof. Collect you Market goodies with ease using our new Market shopping trolleys! 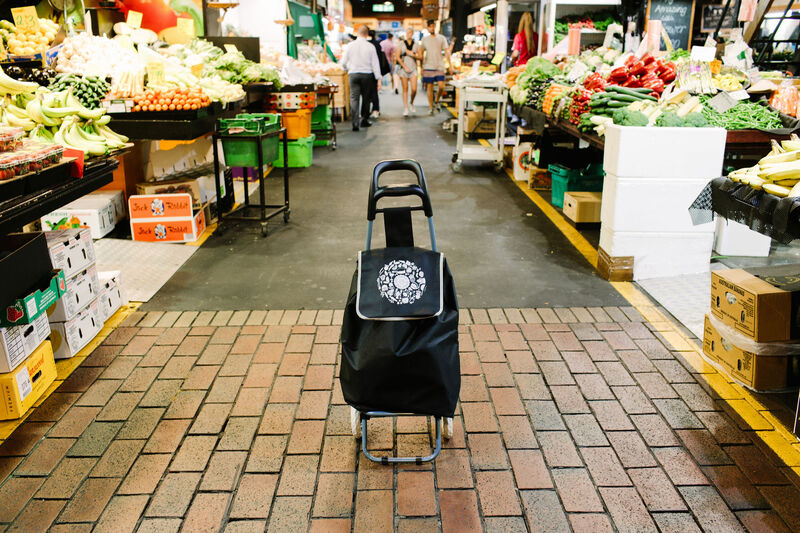 A classic black bag with white piping, our Market trolley features a large draw string bag (a perfect size to fit all your produce) with a back pocket zip and our gourmet Adelaide Central Market logo. Please note unfortunately this product is only available for collection from the Market Office located on level 1 within the Adelaide Central Market.